What is The Carpenter's House? The Carpenter’s House is a 501(c)3 organization based in Lake County, Fla. that offers a safe refuge for abandoned or disadvantaged children. Supported solely by donations, The Carpenter’s House mission is to provide a stable and nurturing environment for children from around the world to live, learn and grow. Who runs The Carpenter's House? Founders Pat and Linda Manfredi run The Carpenter’s House — serving as the directors, caretakers and, most importantly, Mom and Dad to all the children in their care. How do children come to live at The Carpenter's House? The majority of the children are matched through missionaries working in third world countries, mainly in the West Indies. Most come from orphanages and have experienced dismal poverty and near starvation, or suffer from life-threatening medical conditions that cannot be adequately treated in their home country. How do the children gain entrance into the United States? The U.S. Embassy must approve the documentation in order for The Carpenter's House to gain legal custody. Are these children here temporarily? Do they become U.S. citizens? Are they in the foster care program? None of the above. Most of the children who live at The Carpenter’s House are in the process of applying for U.S. citizenship. Most stay at the house until they are of legal age. Some complete the citizenship process, while others return to their country of origin. How many children has The Carpenterâ€™s House served? Since 1976, The Carpenter’s House has helped approximately 140 children. How many children live at The Carpenterâ€™s House? Currently, there are 16 children, ranging in age from two to 19. The most the house served at one time was 18. What are some of the average monthly expenses? The biggest expense is food – commonly costing more than $2,500 per month. The average monthly electric bill is about $700, and water is $40. What does it take to feed a family of this size? The Carpenter’s House goes through a lot of food. To give you an idea, a typical breakfast consists of: 2 gallons of milk, 1 gallon of juice, 2 boxes of oatmeal, 1 loaf of bread, 20 eggs and 12 pieces of fruit. How does The Carpenterâ€™s House provide medical care to multiple children with special needs? The Carpenter’s House has health insurance for the children. Additional medical expenses not covered are either paid for by donations or provided pro bono by The Carpenter’s House’s pediatrician. How do the kids transition out of the house? 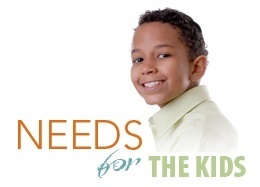 The process of transitioning out of the house is tailored according to each child's needs. Upon turning 18, some attend college or technical school, join the military or go into the ministry. Some get jobs and build a life here in the U.S., while others return to their native country.